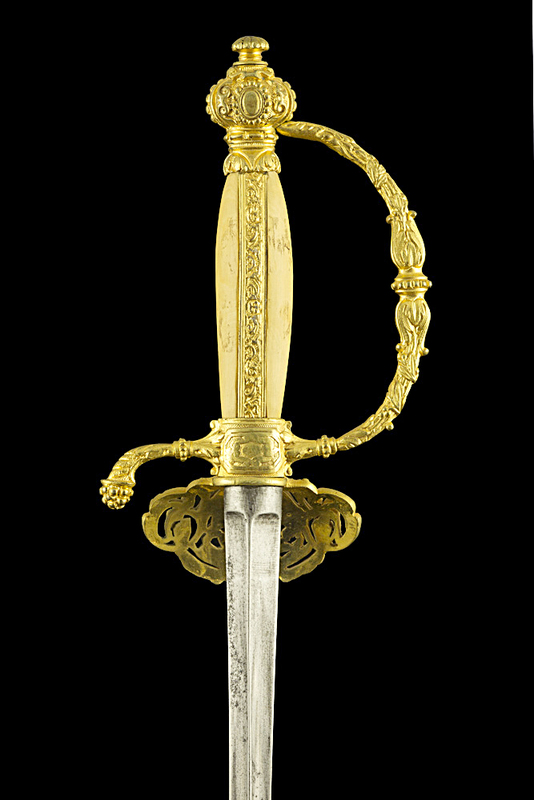 This is a perfect example of a sword renovated by someone who hadn't a clue about what he was doing. 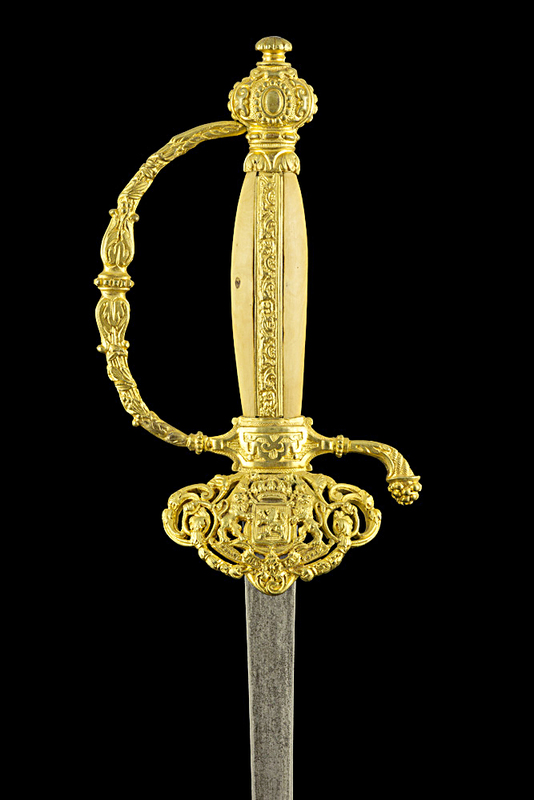 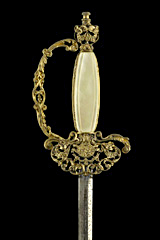 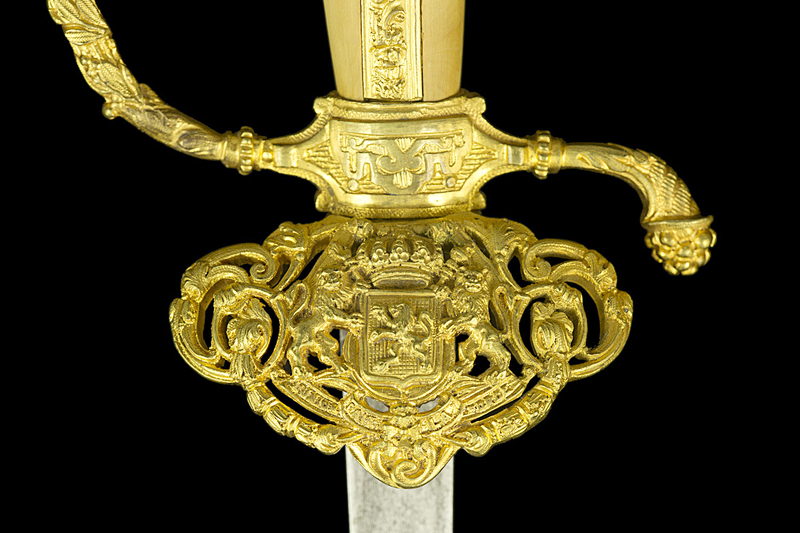 The basic wooden replacement grip has been mounted sideways (with the gilt metal in front and back in stead of left and right), the blade has been mounted backwards (with the top of the triangular section to the rear, which might be right for a left-handed sword, but is most certainly an error here) and the gilding probably replaced by paint. 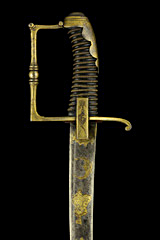 However, I still find this sword interesting as it sports the Belgian moto while the whole piece is clearly of French design.